Acronis Backup & Recovery 10 Errors Out with "There is no activated subscription"
Acronis True Image Home Online Backup: Warning Message "Trial period expires in X days"
Acronis Backup and Security 2010: Update Fails with "Acronis Internet Security Suite license has expired"
This article describes that the trial and full subscription must match. If you purchased a subscription product from Acronis, you may need to change your payment details, e.g if the credit card used for payments expires or you simply want to use a different payment method. If you use the subscription-based version of Acronis True Image 2018, you can manage the licenses manually at the Acronis website. 1. Go to https://account.acronis.com/, and then sign in with your Acronis account. From here on you can manage licenses for your computers. 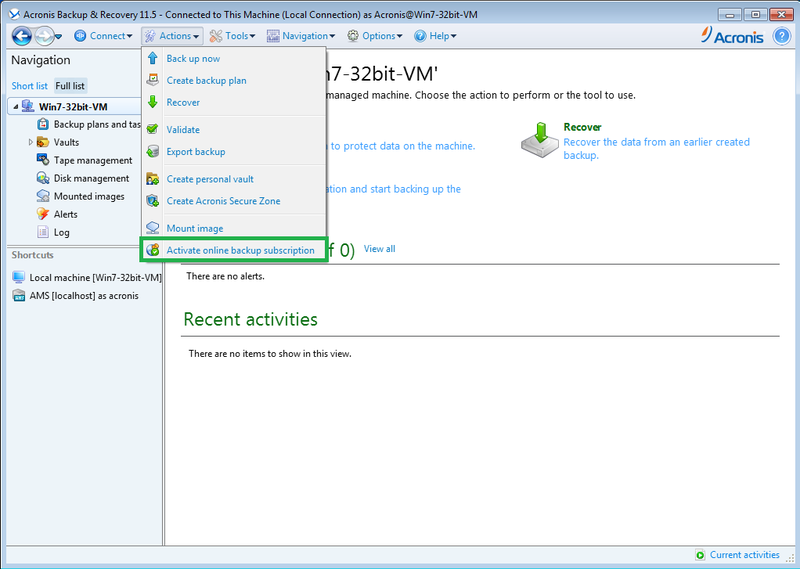 If you want to upgrade an Acronis Backup product to Acronis Backup 12, see this article. You can receive upgrade licenses to Acronis Backup 11.7 if you have a valid Acronis Advantage Standard/Premier support program. If you do not have a valid support program, you can purchase upgrade licenses for Acronis Backup 11.7.